Dr. Rolando Saenz always appreciates feedback from his valued patients. To date, we’re thrilled to have collected 17 reviews with an average rating of 5 out of 5 stars. Please read what others are saying about Dr. Rolando Saenz below, and as always, we would love to collect your feedback. 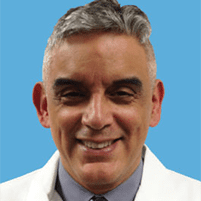 A VERY COOL KNOWLEDGEABLE DOCTOR VERY HELPFULL, I WOULD RECOMMEND HIM TO FAMILY AND FRIENDS! Thank you for giving me this opportunity to express my thoughts and feelings toward Dr. Rolando Saenz. He has been treating me for approximately 14 years and in my opinion he is the finest medical doctor in his field. He has dealt successfully with many of my intestinal problems. He has prevented several unnecessary surgeries with his method of treatment for my intestinal obstructions. Not only is he an excellent surgeon, he is an extremely compassionate human being, caring and puts his patients at ease in discussing this delicate issue. As long as he is in practice I would consider no one else to deal with my colo-rectal medical conditions. I saw the doctor, he set up the surgery, I had the surgery, the pain is gone. Dr.saenz has been the best surgeon for me. That is why I always return to him for my surgical cares. I always refer friends and family to his service. Dr. Saenz is an exceptional doctor. He really cares about his patients. Dr. Rolando Saenz and his staff are a great team. Dr. Saenz, is a wonderful doctor. We travel 1.5 hrs. to see him. He's always caring and on top of what needs to be done. I really enjoy my visits. I was having bad stomach pains when I got referred to Dr Saenz, he did everything to make me better. I know I wasn’t the best patient (lol) but he and Christina were very professional and extremely caring about my health and well-being . I can say that because of Dr Saenz my health and life are 100% better. I would strongly recommend Dr Saenz to everyone. I can’t thank him and his staff enough . At each step, procedures and options were clearly explained. Pre-and-post-op treatments were excellent, and office staff were very helpful and caring. Having surgery is never a comfortable thing but the staff along with Dr. Saenz made the process comfortable. Very informative about the process and highly recommend Dr. Saenz and his staff for any medical needs you may have.